Yesterday, the forecast said that it will snow and it start early in the morning. As it was a Sunday, people stayed indoors and enjoyed the seasons first true snowfall. I ventured to the Museum of Ar at around 10 am. The walk from the train station to the museum is almost one kilometer, and I enjoyed walking through the snow. 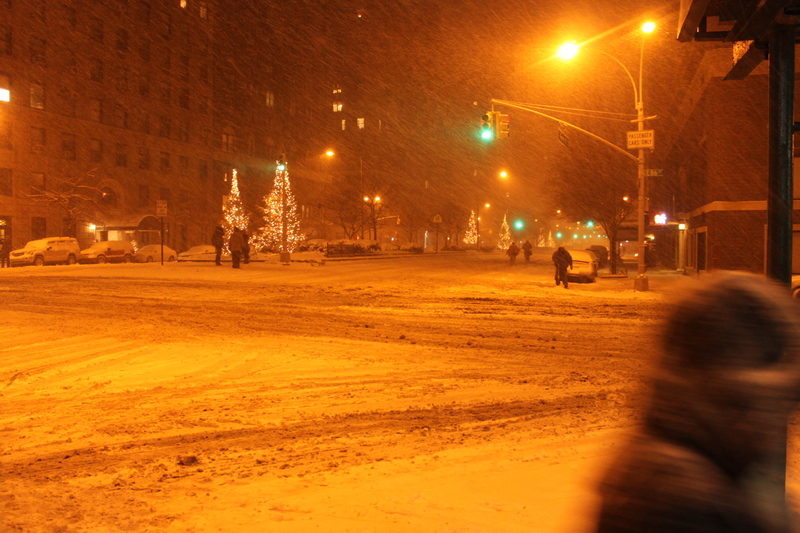 There was however little accumulation around us, and quite a few people on the streets. I spent nearly the whole day inside the museum, and I as passed the areas which overlooked Central Park, I could see the the snowing has intensified with strong wind. I could still se few people in the park, and one child who refused to stop playing in the snow, despite his parents insistence. 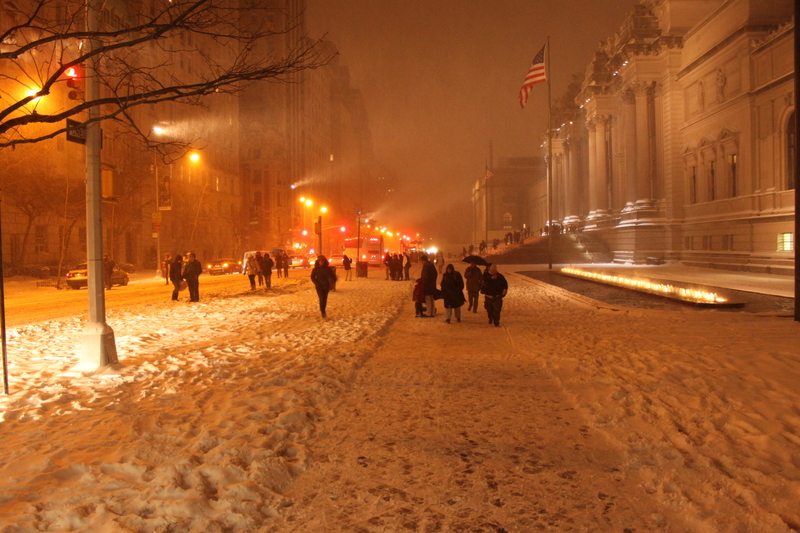 By the time I was leaving the museum (along with thousands of others), it was 5 30 pm and the snow had transformed into a full fledged blizzard. The scene outside was superb! Superb for me at least! Snow and wind, and people wading their way through the foot deep snow. Vehicles were stranded in the middle of the road and almost everyone was trying to get to some subway station or the other as taxis weren’t available either. The walk to my subway station is a kilometer long. That is quite a bit in this sort of weather. I had my jacket and gloves, so I was game to walk even two km. The wind was terrible and I just managed to take out my camera for a couple of shots before tucking it away into the safety of my backpack. On the way, I crossed Park Avenue, which is one of the most important streets. It was nearly empty. The pedestrians were treating it like a footpath. The poor few drivers were having a touch time maneuvering on the ice. This was after 4 years that I was actually in a blizzard. The last time I was stuck on way to Baralacha La in northern Himachal Pradesh. The train station is the most messy sight I’ve seen here. There were a few hundred people near the entrance, dusting the snow off their jackets and hats. It was a great scene. Some were unhappy, but as most were tourists, they were pretty excited. It was a little unclean though, but that’s expected for such weather. Most of my route of the subway line was underground and so the train was running on time and I was home. The walk from the station to my apartment was lovely, full of snow, and a few people here and there. I took some more photos near the entrance to my building and then a couple were on their way out to enjoy in the snow and take photos. That is what I call living it! There was some ice on the inside of my window, due to its proximity to the heater. The next morning (today) it had stopped snowing. 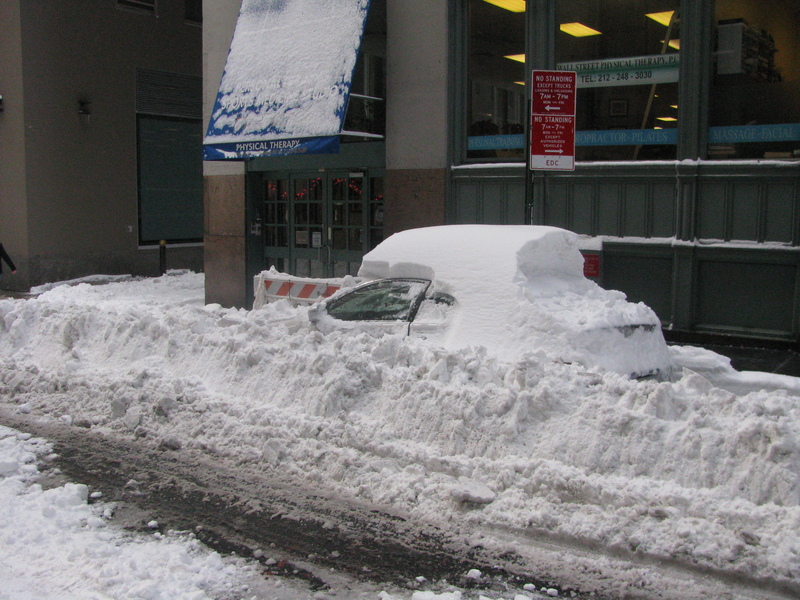 There was 2-3 feet snow everywhere and the roads were all blocked. Cars were stranded in the middle of the road and I was out playing in the snow and taking pictures. I went to office…but was casually dressed in trousers and a normal shirt. The walk to the station from my apartment isn’t much and I enjoy walking that distance and soaking in the cold. I took some pics and reached my office complex, which is in the train station building. I could not going outside, on another major road; Atlantic Avenue. It was deserted, on a Monday morning. 3 feet snow piles everywhere…the main road was being cleared but the smaller ones were completely covered with snow. I took some more photos and them some kids were playing in the snow, and I joined them. Yes, I was in a formal attire with a laptop on me, and here I was outside my office building playing in the snow with street kids. Then the most amazing thing happened. When I finished playing and returned to the complex, a gentleman who was watching me walked up to me and asked if I was from Alaska. I laughed…and I told him I am from possibly the hottest place on this earth! He could not believe that I am from India! And I could not believe that he thought I was from Alaska. But we both knew that was because I was in the snow without any cold gear what so ever. Reached office and my hands were quite purple, but luckily they felt fine in a while. Office had 15% attendance. The bosses arranged for lunch for everyone who came in, as a token of their appreciation! 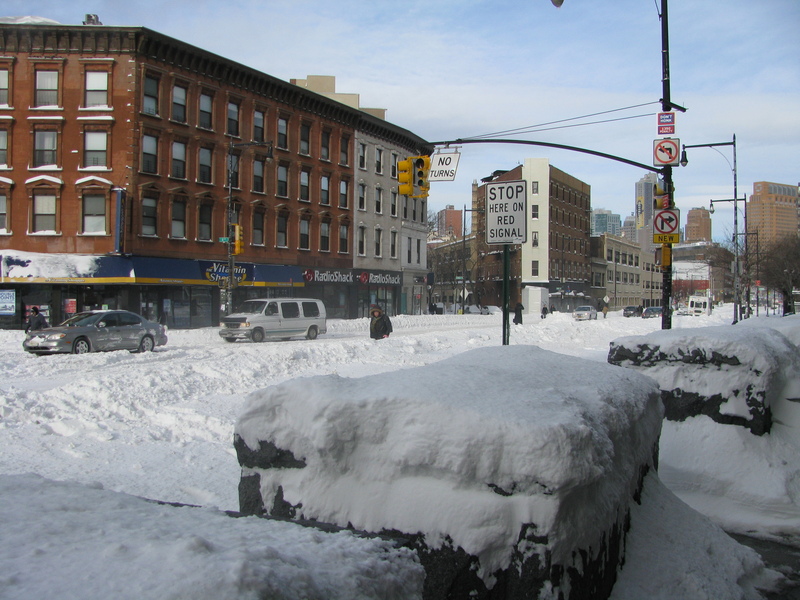 It was a lovely two days…I hope to see more blizzards in the coming one month…bring it on baby! I love the snow too its just that I have not come across snow so thick, It does not snow here in Maharashtra. I love trekking and I have had the opportunity to visit/trek a few forts in Maharashtra, Harishchandragad is my favorite. I was thrilled to read about your Annapurna circuit trek, this must have been great fun. Please do share a few pictures if you can. Nikhil, glad you liked the pics and the write up. Also read the Everest Base Camp, Ladakh on Bike and the Vale of Kashmir travelogues. There are thousands of pictures of my travels in the various albums in the My Pictures section on the top of the main page. So, go to http://aviramsworld.com and on the first page, look for My Pictures, at the top of the page. Enjoy!